Ladd’s current research and teaching focuses primarily on education policy, both in the U.S. and in other countries. She is interested in range of contemporary public policy issues, including school choice, teacher labor markets, accountability, and school finance. She co-chairs “Broader, Bolder Approach to Education” (boldapproach.org), a national campaign that acknowledges the impact of social and economic disadvantage on schools and students and proposes evidence-based policies to improve schools and remedy conditions that limit many children’s readiness to learn. Ladd is also a Board member of the Durham, NC branch of Communities in Schools, a dropout prevention program. Helen F. Ladd's research on schools funds discussed in Robin Lake and Paul T. Hill, "School Funds Should Follow Students, Not Protect Institutions," Brookings, May 17, 2018. Guest to discuss education policy on WUNC: The State of Things, Helen F. Ladd, May 15, 2018. Helen F. Ladd quoted , "Excessive Expansion of Charters Hurts NC's Traditional Public Schools" The News & Observer, January 15, 2018. Helen F. Ladd quoted in T. Keung Hui, "Charter Schools are Taking Money away from NC School Districts, Study Says" The News & Observer, January 12, 2018. Helen F. Ladd's research on Matt Barnum, "The Cost of Charter Growth: New Research Estimates the Price Tag for Districts," Chalkbeat, January 9, 2018. Helen F. Ladd quoted on North Carolina charter schools in John Hood, "Parents Count When Judging Schools" The Mountaineer, November 27, 2017. Helen F. Ladd quoted in Ned Barnett, "N&O Forum Will Explore Promise, Concerns of Charter Schools in N.C." The News & Observer, October 21, 2017. Helen F. Ladd quoted on the outcomes of charter schools in Editorial Board, "Charter Update: A Mixed Record" News and Observer, October 14, 2017. Helen F. Ladd's research on turnaround school outcomes discussed in Lynn Bonner, "Some NC Schools in ‘Turnaround’ Program Declined, Study Finds," News and Observer, March 26, 2016. "Educational Success in Two London Boroughs: Lessons for the U.S.," Helen F. Ladd (with Edward B. Fiske), Brookings Institution, February 16, 2016. Guest to discuss the racial imbalance of North Carolina's charter schools on North Carolina Public Radio, Helen F. Ladd, January 21, 2016. Helen F. Ladd's research on charter schools increasing the racial divide in K-12 education discussed in Jon Camp, "Duke Study Finds More Segregation in Charter Schools," ABC, April 15, 2015. Helen F. Ladd's research on measuring the impact of early childhood initiatives discussed in Meghan Grau, "High-Quality Early Childhood Education May Reduce Special Education Enrollment and Costs," Daily Targum, February 11, 2015. Helen F. Ladd's research on the impact of early childhood initiatives discussed in Lyndsey Layton, "Study: High-Quality Early Education Could Reduce Costs," The Washington Post, February 3, 2015. "What’s Up with Education Policy in North Carolina?," Helen F. Ladd, Diane Ravitch's Blog, March 6, 2014. "How Do We Stop the Revolving Door of New Teachers?," Helen F. Ladd, The Atlanta Journal-Constitution, November 24, 2013. "Novice Teachers are Not the Solution," Helen F. Ladd, The Pittsburgh Post-Gazette, November 24, 2013. Helen F. Ladd's research on charter schools and diversity discussed in Stuart Watson, "Charter Schools More Segregated than Traditional Public Schools ," WCNC, May 10, 2013. "Education, Poverty, and Student Outcomes," Helen F. Ladd, Interview with Andy Feldman, GovInnovator, January 3, 2012. "Class Matters. Why Won't We Admit It?," Helen F. Ladd (with Edward B. Fiske), New York Times, December 11, 2011. Helen F. Ladd's research on early childhood initiatives discussed in Suzanne Valdivia, "New Study: Investments in Smart Start and More at Four Generate Broad Education Benefits," Duke University News, March 16, 2011. 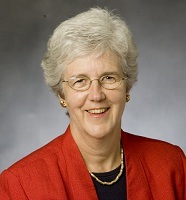 "Changing the Rules on Public Education," Helen F. Ladd, Interview with Frank Stasio, WUNC North Carolina Public Radio, March 4, 2011. "The Challenges of Measuring School Quality: Implications for Educational Equity" (with Susanna Loeb), in Education, Democracy and Justice, edited by Danielle S. Allen and Rob Reich (University of Chicago Press, 2013). Explores the complexity of defining and measuring education quality in a way that can help public decision making. We explore the advantages and disadvantages of different approaches and highlight the merits of each with respect to different normative equity standards. "Education and Poverty: Confronting the Evidence (Presidential Address to the Association for Public Policy Analysis and Management)" Journal of Policy Analysis and Management 31, no. 2 (2012): 203-227. Discusses how current U.S. policy initiatives to improve the U.S. education system, including No Child Left Behind, test-based evaluation of teachers, and the promotion of competition, are misguided because they either deny or set to the side the clear evidence that students from disadvantaged households on average perform less well in school than those from advantaged households. "From Birth to School: Early Childhood Initiatives and Third Grade Outcomes in North Carolina," (with Clara Muschkin and Kenneth Dodge), Association for Public Policy Analysis and Management, January 31, 2011. Measures the community wide effects on third grade tests scores of two well-known programs in North Carolina in contrast to other studies of early childhood programs that focus on individual participants. We conclude that each of the programs generated large and positive effects. "Weighted Student Funding in the Netherlands: A Model for the U.S?" (with Edward B. Fiske). Journal of Policy Analysis and Management 30, no. 3 (2011): 470-498. Shows how the Netherlands demonstrates the potential for a country to fund its schools in a highly progressive manner. Cultural and institutional differences between the U.S. and the Netherlands, however, limit the direct applicability of the Dutch model to the funding of schools within U.S. cities. "Teacher Mobility, School Segregation, and Pay-Based Policies to Level the Playing Field" (with Charles T. Clotfelter and Jacob L. Vigdor). Education, Finance and Policy 6, no. 3 (2011). Finds how, in this empirical study of teacher mobility in North Carolina, schools with very high proportions of minority students would have to pay teacher salaries more than 50 percent higher than those in other schools to retain teachers with strong qualifications. When Schools Compete: A Cautionary Tale (with Edward B. Fiske) (Brookings Institution Press, 2002). Examines how New Zealand’s highly touted experience with self-governing schools, parental choice and competition during the 1990s highlights the potential downsides for the U.S. and other countries of reforms that embrace those concepts.